Why Branson Suspended Billion Saudi Investment? Home Big Biz Why Branson Suspended $1 Billion Saudi Investment? Why Branson Suspended $1 Billion Saudi Investment? 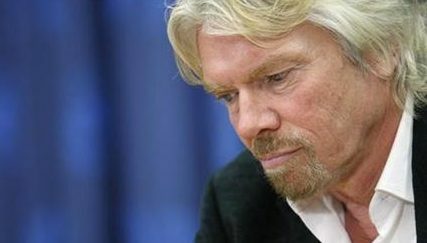 Virgin Group founder Richard Branson has suspended business ties with SAudi Arabia over the alleged murder of journalist Jamal Khashoggi. English business magnate and the Virgin Group founder Richard Branson has suspended business ties with Saudi Arabia over the alleged murder of journalist Jamal Khashoggi. Branson said in a statement that the company would suspend discussions over a planned $1 billion Saudi investment in the Virgin group’s space ventures. In 2004, Branson founded spaceflight corporation Virgin Galactic, based at Mojave Air and Space Port, noted for the SpaceShipTwo suborbital spaceplane designed for space tourism. In 2007, Branson was placed in Time magazine’s list of the 100 Most Influential People in The World. In June 2018, Forbes listed Branson’s estimated Net Worth at US$5.1 billion. Next StoryWhy Branson Suspended Billion Saudi Investment?